Memorial services are scheduled for 10:30 a.m. Monday, May 1, at Pinon First Baptist Church in Pinon for Winna Mae Gage of Artesia. Gage, 66, passed away Thursday, April 27, 2017, at Landsun Nursing Home in Carlsbad. Herb Gage and Ty Houghtaling will officiate at the services. Honorary pallbearers are all of her grandchildren. Lunch will follow at the Pinon Community Building. A gathering of friends and family will be held from 2-4 p.m. today at Terpening & Son Chapel. Winna was born Feb. 26, 1951, in Artesia, the daughter of Clifton and Millie (Payne) Dean. On July 19, 1969, she married Nick Gage in Pinon. She was a longtime resident of the Pinon and Artesia areas. Winna was a ranch day worker and substitute teacher, an aide, and a janitor at Weed Public School. 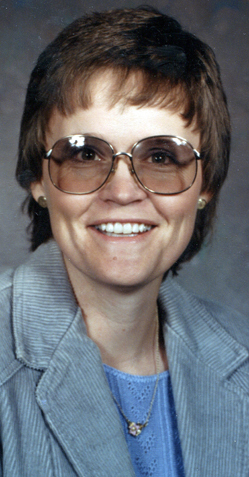 She was the high school secretary for the Cloudcroft Public Schools. After receiving her Bachelor of Science and her Master of Arts, she went on to teach grades 1-12 in Cloudcroft and eventually took the position of principal at High Rolls Elementary in the Alamogordo Public Schools. She returned to Cloudcroft Middle School to teach sixth- through eighth-grade English and was a counselor. From there, she moved to Southern Heights Elementary School in Hobbs to teach fifth grade. Winna then took the position of teaching principal at Penasco Elementary and the Artesia Public Schools. She was also director of the Pecos Valley Regional Education Co-Op. Winna was a member of Hermosa Drive Baptist Church and loved to cook, garden, and spend time with all of her grandchildren. Survivors include her husband, Nick, of Artesia; sons Gary Dwayne Gage and wife Jincy of Pinon and Edward Dean Gage of Artesia; daughter Sara Ruth Gage and husband Ben Snow of Del City, Texas; brothers Crockett Dean and wife Pam of Del City and Quentin Dean and wife Dana of Hope; sister Becky Dean-Walker and husband Dennis of Sierra Blanca, Texas; grandchildren Garret Gage, Kacey Gage, Ashlie Gage, Marion Da Gage, Gari Ann Gage, Preston Gage, Lance Gage, Matthew Gage, Wilson Lewis and Leslie Lewis; and great-grandchildren Kyleigh Gage and Zaylee Jackson. She was preceded in death by her parents and a sister, Francis Taylor.